“NEW PRODUCT DEVELOPMENT” COURSE – STARTING APRIL 2017! 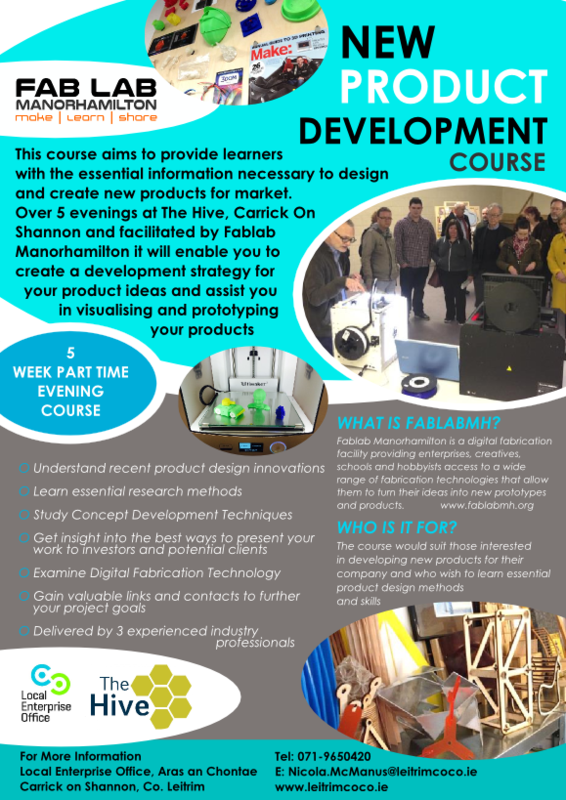 We would like to announce an exciting course we’ve been working on, supported by Leitrim LEO, on how to design and develop new products for market. This is a part-time evening course and will be delivered over 5 nights, beginning April 26th, at The Hive in Carrick-on-Shannon. The best ways to present your ideas to investors & potential clients. Valuable links & contacts to further your project goals. So, if you have an idea for a new product and you’d like to find out how to develop that further, then this is the course for you!